Sterling silver Celtic knot design earrings with gold plated Celtic infinity knots against a Sterling silver background. 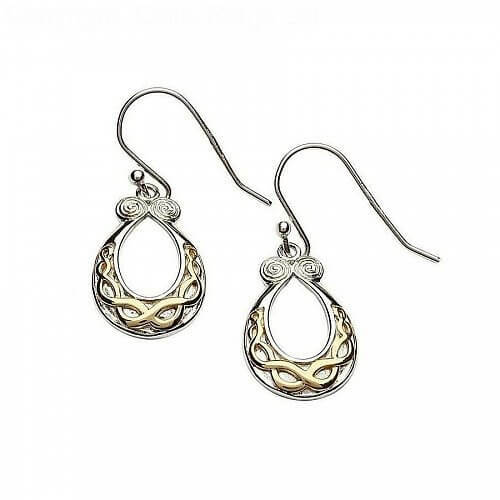 These horseshoe shaped earrings are finished perfectly with Newgrange type swirls - designs that are over 2,000 years old. 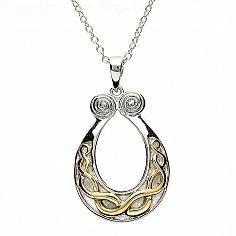 Handmade in Ireland and shipped worldwide.